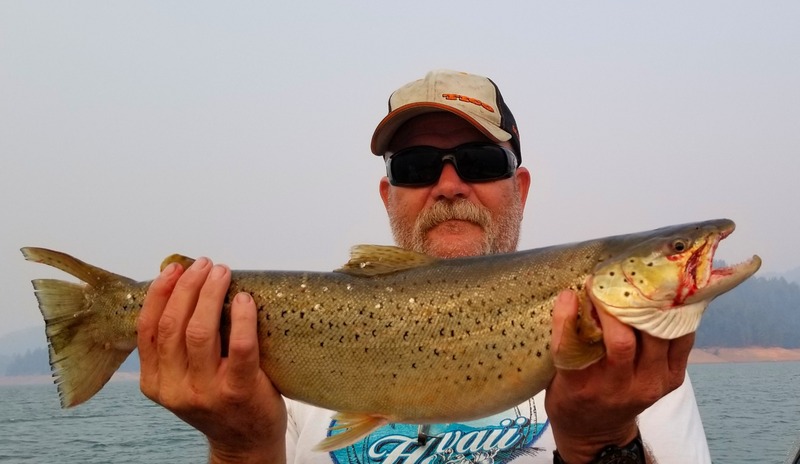 8/06/18 - When you start Monday morning off with a fat hard fighting Brown, the rest is just gravy and there was a lot of quality gravy on Shasta Lake yesterday. The morning started off just right with spoiler fish first haha. Mr Fat Brown got things started off in the first 20 minutes of trolling. He put up quite a battle before coming to the net. Nothing betting then making the clicker on the reel sing the peeling drag multiple times. That is pretty much how the rest of day went. 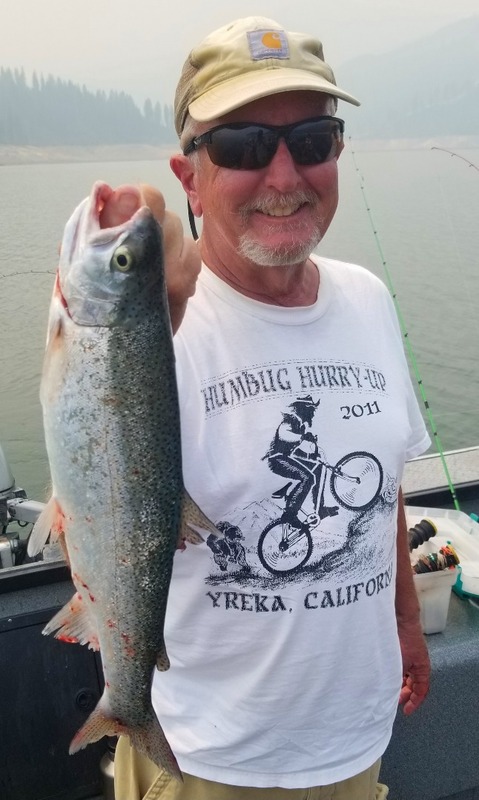 Vicious bites from hungry Rainbow Trout followed by nice drag ripping rod bending battles. 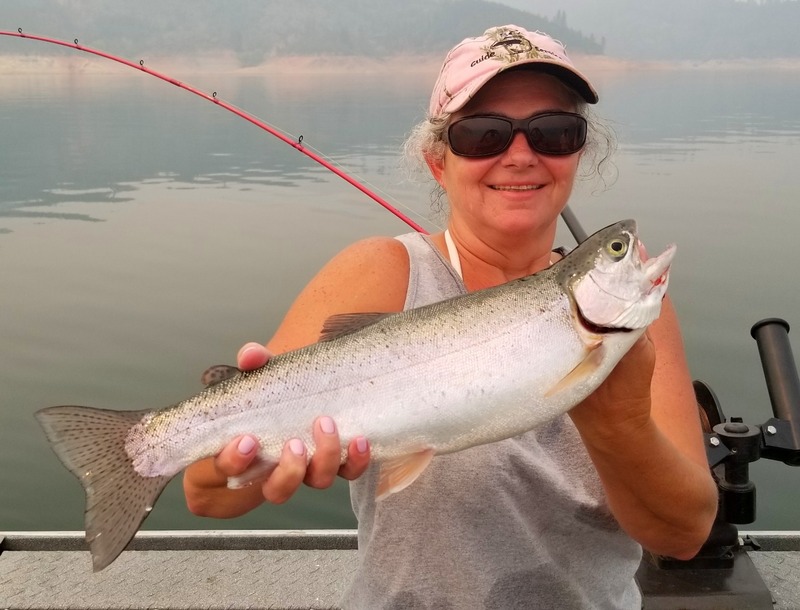 Some of these fish even gave us an aerial show after coming up from the cooler deep water of Shasta Lake.